Radio journalists have witnessed much of the history of the twentieth century. From early documentary recordings , to the ground-breaking war reporting of Ed Murrow and Richard Dimbleby, to the sophisticated commentaries of Alistair Cooke and reporters such as Fergal Keane, International Radio Journalism explores the way radio has covered the most important stories this century and the way in which it continues to document events in Britan, America, Europe and many other countries around the world. 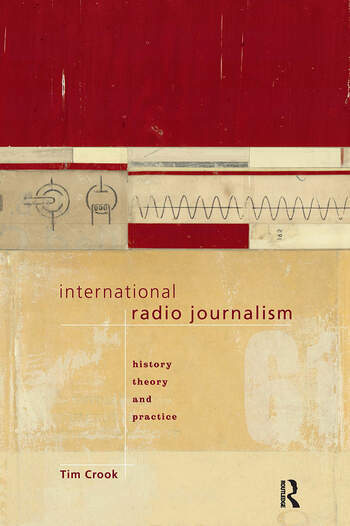 International Radio Journalism is both a theoretical textbook and a practical guide for students of radio journalism, reporters, editors and producers. The book details training and professional standards in writing, presentation, technology, editorial ethics and media law in America, Britain, Australia and other English speaking countries and examines the major public sector broadcast networks such as the BBC, CBC, NPR and ABC as well as the work of commercial and small public radio stations. Timothy Crook investigates the way in which news reporting has been influenced by governments and media conglomerates and identifies an undercurrent of racial and sexual discrimination throughout the history of radio news. There are chapters on media law for broadcast journalists, the implications of multi-media and new technologies, digital applications in radio news, and glossaries which cover the skills of voice presentaion, writing radio news and broadcast vocabulary.